Editor’s Note: WooCommerce and Advanced Custom Fields go head to head this week in Torque’s 2016 Plugin Madness championship round. Go to pluginmadness.com to vote now! The winner will be announced on April 12. The WordPress platform is being used for many things, from blogging to business websites to portfolio sites and more. Even famous brands, celebrities and companies power their online presences with WordPress. However, one area where the platform also excels but that we don’t talk about that often is ecommerce–WordPress can easily be used to power online shops and there are several high-quality solutions to do so. The most well-known and by far most popular WordPress ecommerce solution is WooCommerce. Not only does the plugin have a 4.5 star rating at more than a million active installs, it also made waves in May last year when Automattic acquired WooCommerce’s parent company WooThemes. The acquisition was definitely a good move. Back then WooCommerce already powered 30 percent of all online shops and was an overall clear favorite in the WordPress community. So, for those who are not familiar with the plugin yet (like me) it’s about high time we took a closer look, don’t you think? For that very reason, this article will provide an in-depth look into the free ecommerce solution, how to use it and what it can do for your online shop. WooThemes, the makers of WooCommerce, was founded in 2008. Their flagship ecommerce plugin that we know today originally started off as a fork of Jigoshop and quickly became the cornerstone of their business with impressive download numbers growing every year (more than 7 million in 2015). Last year alone estimates put their annual revenue north of $10 million and Automattic spend somewhere around $30 million to bring WooThemes into the fold. Pretty impressive for one plugin, right? So, what makes WooCommerce so successful? Well, it enables users to create and have complete control over an entire online shop and it does so in style. WooCommerce is set up to sell both physical and digital goods. It can handle product variations like colors and sizes, offers download functionality for digital products and can even handle affiliate goods. Apart from that, it sports highly configurable shipping options ranging from worldwide to single countries and is capable of dealing with dropshipping. Payment options include credit cards, PayPal, bank transfers and cash and it works with payment gateways like Stripe, Authorize.net and Amazon Payments. 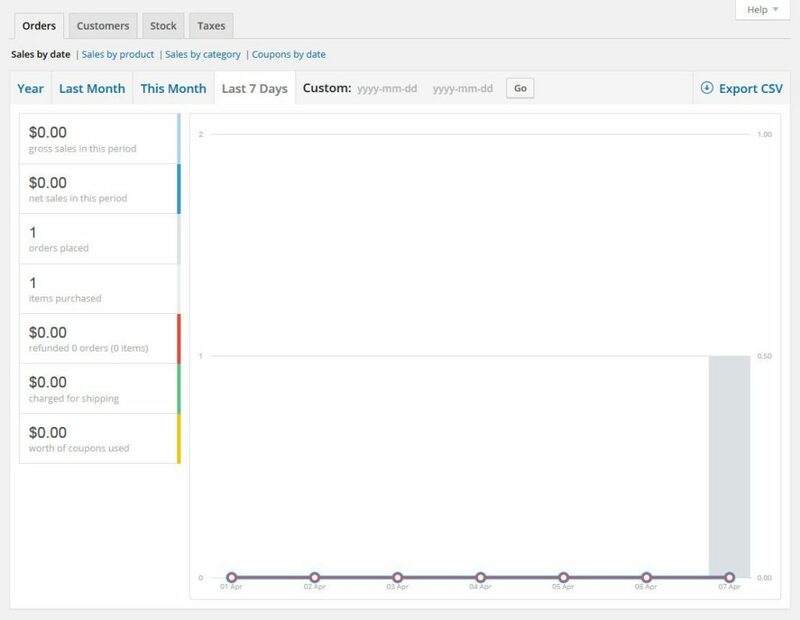 Plus, WooCommerce has a detailed reporting module that will always keep you up to date on how your venture is faring. Naturally, the plugin integrates well with WordPress and can be customized to fit your theme. 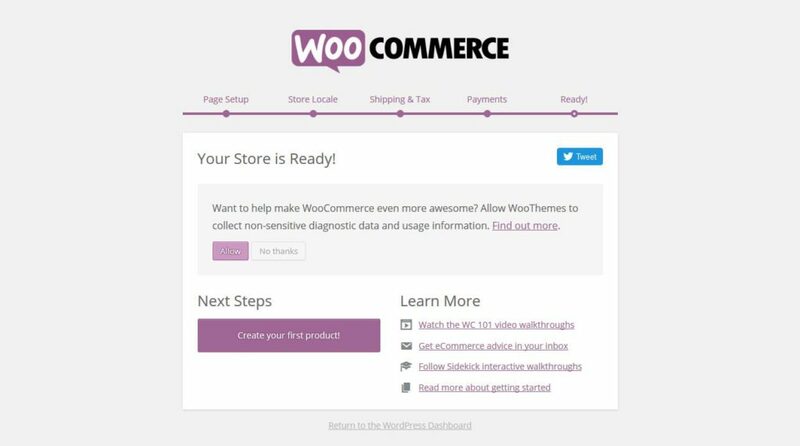 Optionally, you can also use the official WooCommerce starter theme Storefront or one if its many child themes. The plugin was also built with developers in mind and is therefore extendable, scalable and robust. WooCommerce even comes with its own REST API for easy third-party service integration. Apart from that, WooCommerce’s security is also regularly audited and kept up to date. As if the above wasn’t enough, due to the popularity of the plugin users have a plethora of extensions to choose from, both free and paid. There’s even a plugin to connect WooCommerce with the Genesis Framework. And that’s just the very tip of the iceberg. 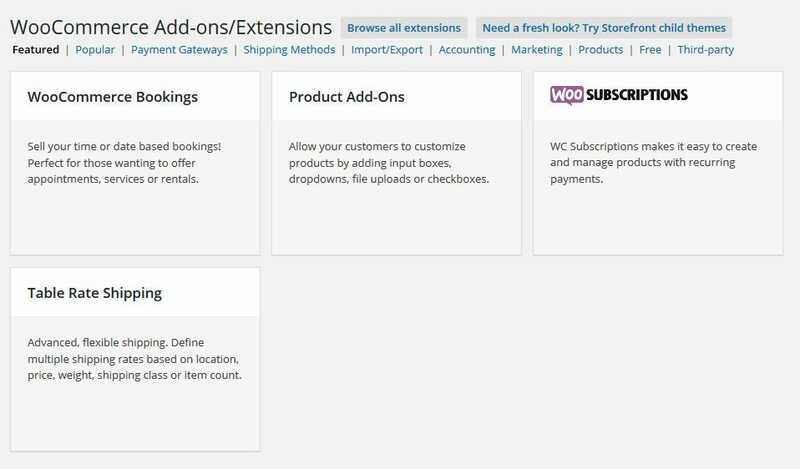 WooThemes also offers their own suite of extensions that include anything from memberships and recurring subscriptions to additional payment gateways and shipping providers. By now, it should be apparent why WooCommerce is so popular. Let’s take a look at how to use it, shall we? Just like any other plugin, you can download and install WooCommerce via the Add New button in the Plugins menu. 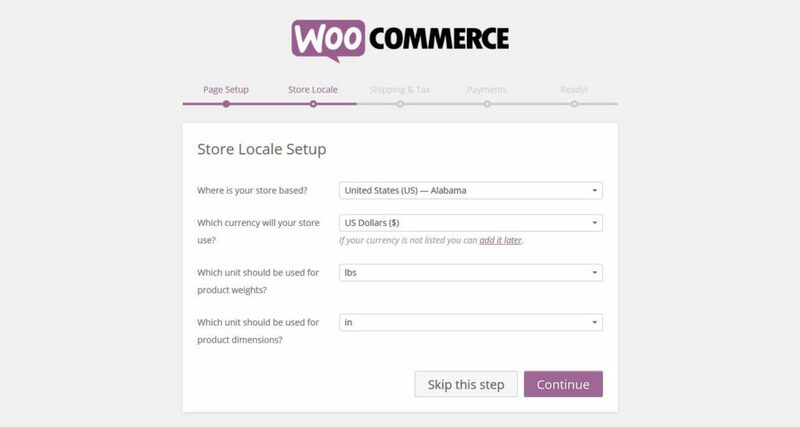 Search for “WooCommerce,” hit Install Now and activate after it’s done. While this part isn’t mandatory and you can make all the same changes manually, it helps to go through the process in order to set up the basics and create all the necessary pages. The first step will create all necessary pages you need to run an online shop like the product and checkout page as well as the shopping cart. There’s not much to do here except clicking Continue. Next, determine where your shop is based as well as the currency and units for weight and dimension measurements you want to use. In this next step, you can set up shipping costs and whether to include sales tax in your prices. Don’t worry if you don’t know these things yet, you can just skip ahead or change the settings later. 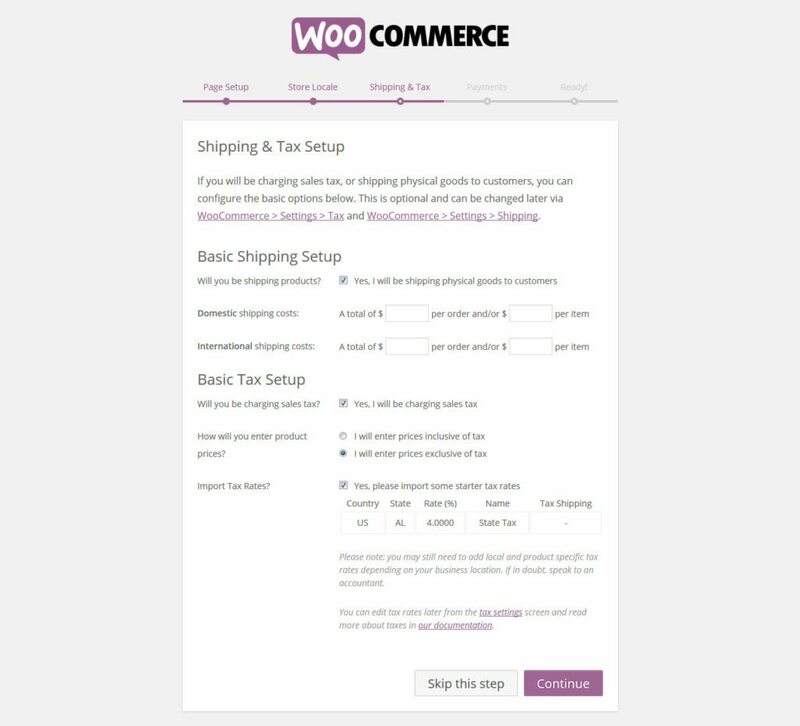 Depending on your location, WooCommerce is also able to suggest starter tax rates. Here you will setup your payment options. Decide whether to accept PayPal (plus, enter your credentials) as well as payment via cheque, cash or bank transfer. As mentioned, these can be extended via add-ons. You now have your basic info set up. If you want, you may allow WooCommerce to collect diagnostic data and start creating your first product. However, to gain a better overview, we will use the Return to the WordPress Dashboard link at the bottom. Upon return to the dashboard, you will see two new metaboxes. Once your shop is set up, these will keep you up to date on sales, orders, recent reviews and more. You will also notice two new additions to the main menu called WooCommerce and Products. Those are our next stop. Let’s start with Products. This is where you will populate your shop with purchasable goods. Let’s check out how to do so and what options we have available. Click on Products. This will take you to the page that lists all the products in your shop. At this point it will naturally be empty. By clicking Add Product at the top or in the menu on the left you can start creating one. The following screen will look very familiar. It is basically the normal WordPress editor with a number of additional options. At the top of the screen you can give your product a title and add a description like in a normal post. This includes images and other media. The information here will appear on the main product page. Product Categories: Create and assign categories and subcategories to order your products and make them easier to browse. Product Tags: Distinguish products even further with tags. Product Image: Works like a featured image. Whatever you upload here will automatically be spit out on the product and shop page. Product Gallery: In addition to the product image you can also add an image gallery, for example to show different product variations, different angles and more. So far so easy, however, the product creation screen has additional important options. 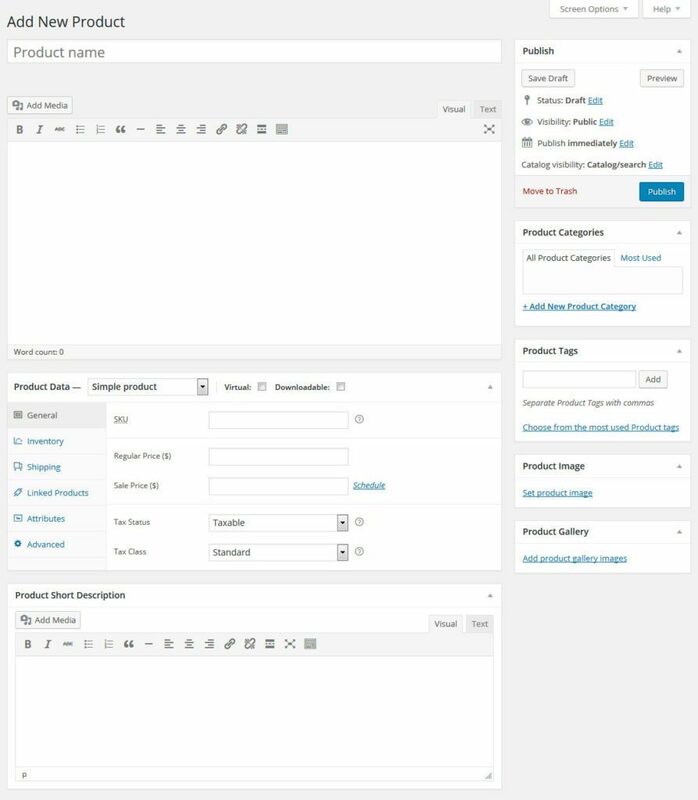 Below the main editor you will find a panel for additional product data. For your shop to work, it is crucial that you fill this in. Virtual/Physical: If what you’re selling is not a real-life product but software of some sort, check this button. It will also remove the shipping options. Downloadable: In addition to that, you can determine whether your product is downloadable, upload the file and add information as well as download conditions. General: Give your product a Stock Keeping Unit (unique ID, mandatory), provide product URLs and button text for affiliate products, price and sales price (if applicable) as well as the date range for any upcoming sales. You can also set up whether it’s a taxed product as well as its tax class. Inventory: Determine whether the product is in stock and — if it’s a physical product — note down the quantity available and whether you accept backorders. Shipping: Weight, dimensions and shipping classes are configured here. 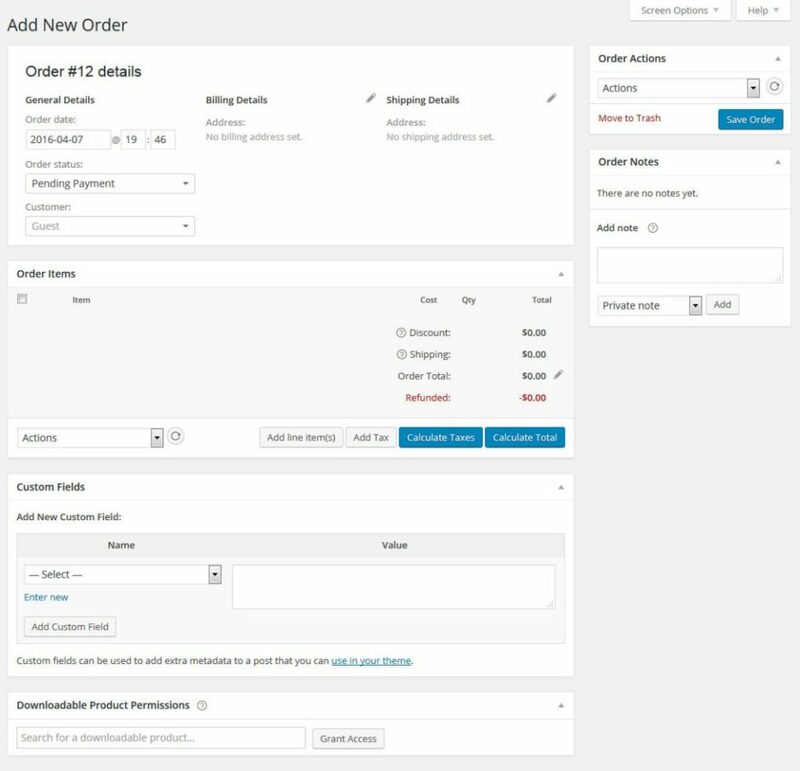 Linked Products: In this menu you can include related products that will get recommended as up-sells or cross-sells and create product groups. Attributes: This is where you define custom product attributes like color, size, etc. Variations: When you have set up attributes, this menu allows you to offer variations of your goods. Advanced: Here you can add a custom purchase note that will be sent to customers after purchase, change the product order inside the menu and determine whether to allow reviews. The final step is to fill in the short description at the bottom of the screen. The content entered here will show up under the product title. Congratulations, you created your first product with WooCommerce and can now access it from the Products menu. The other items in the Products menu are pretty straightforward. If you have used WordPress before, categories and tags should be second nature to you. 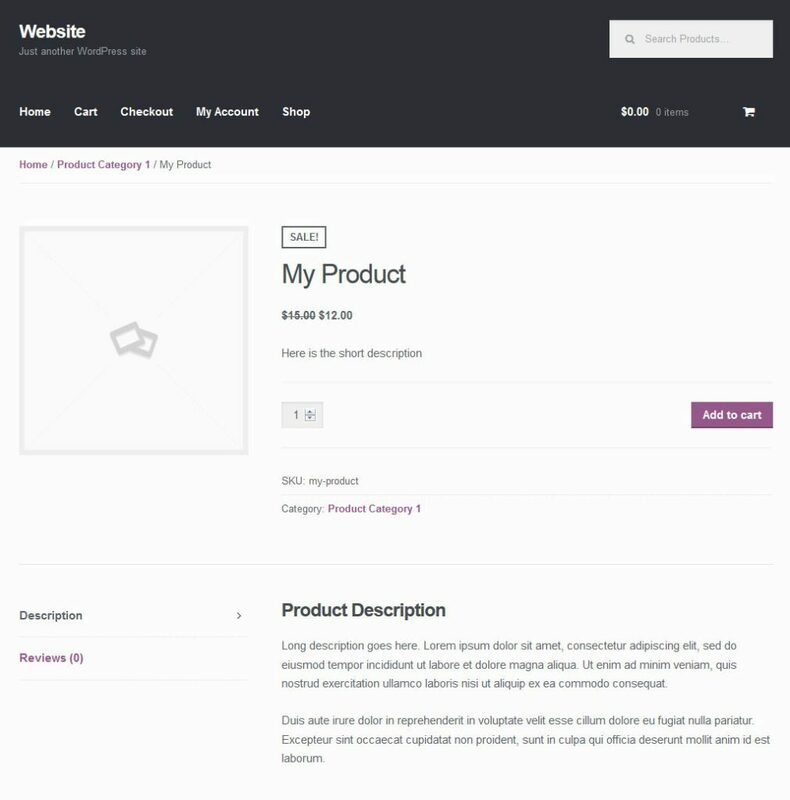 The only difference worth mentioning is that in WooCommerce you can add thumbnail images to product categories. What should also be brought to attention are the other two menus for additional product data named Shipping Classes and Attributes. 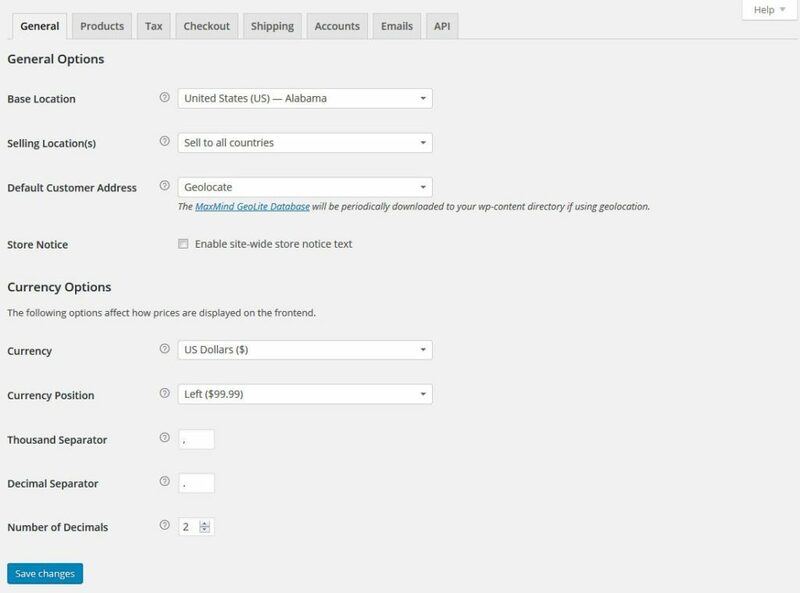 The first one allows you to create product groups by shipping and can be used for calculating shipping costs by class. I already mentioned attributes above and in the corresponding menu you may create sizes, colors and other characteristics that can be added to products as variations. All clear so far? Then let’s move on to other things. From here on out we will look at the menus available under WooCommerce. I’ll explain each and every menu item one by one so you know exactly what’s going on there. As you can imagine, this screen shows the current order status of your shop. If you are strictly dealing in digital products there isn’t much to see here except for how many products you are currently slinging and who bought what. Physical goods on the other hand can be sent on to shipping and have their order status changed (pending payment, on hold, refunded, failed, etc.). You can also modify billing or shipping addresses, resend order emails, add notes, change the content of the order and more. This part should also be a familiar concept. Under Coupons you may create and manage discount codes. Determine the type and amount of discount, set expiration dates, restrict usage (for example, in conjunction with other coupons) and set limits on how many coupons can be used overall or per user. Here’s where it gets really interesting. In my personal opinion, the report section is one of the highlights of WooCommerce. The plugin automatically creates detailed summaries on every aspect of your shop. You know what they say, “what gets measured, gets managed” and WooCommerce definitely takes care of the measuring part. Check gross and net sales of the last seven days and other time frames, view orders placed, items purchased, refunds issued, shipping costs taken in and coupons used–all at a glance. Yet, it doesn’t stop there. The same overvoew is available for customer sales, product stock and taxes and can be exported in CSV form to import into your own books. 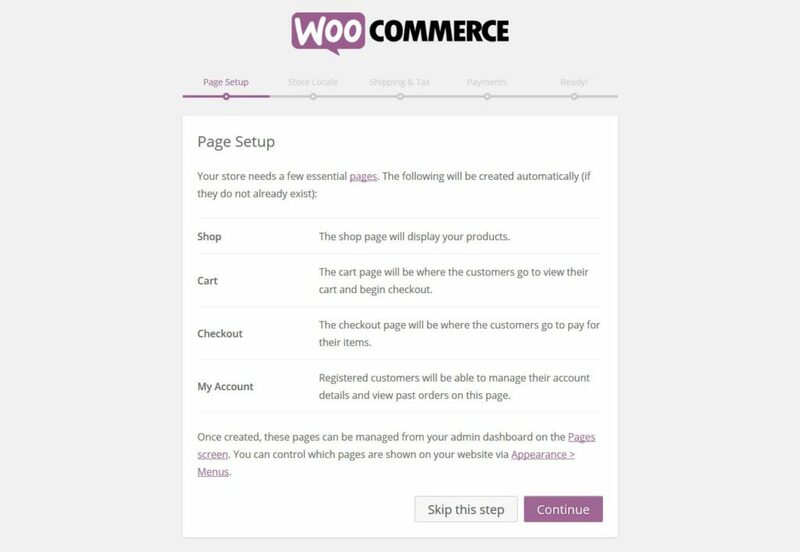 This section is where you control quite literally every aspect of your WooCommerce online store. Even the free plugin version offers loads of configuration options and I will go over them briefly to give you a good understanding of WooCommerce’s customization capabilities. The system status sections provides you with an overview over the health and performance of your online shop. In the same place you can also download a system report in case you need to get in touch with the WooCommerce support. 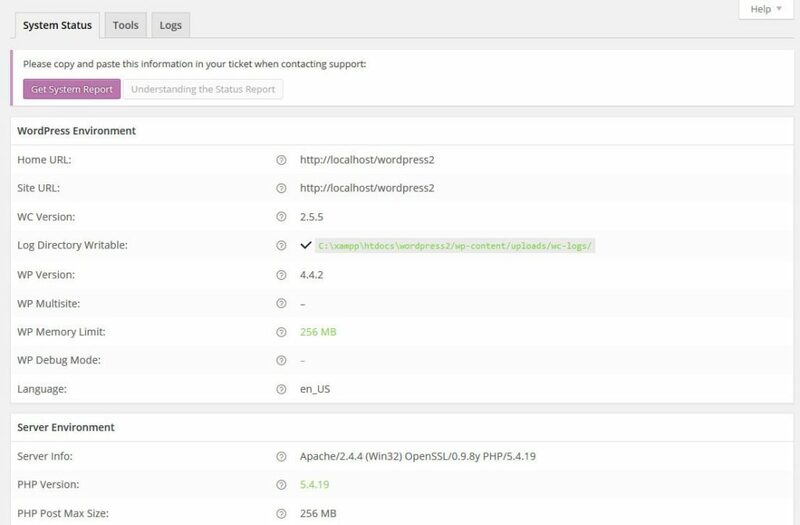 Apart from that you will also find a number of tools for debugging and resetting cached data and the possibility to see data logs for your shop. Finally, through the add-on section you get access to the aforementioned extensions. Everything is ordered by category and a click on any extension takes you right to the website where you can purchase it. 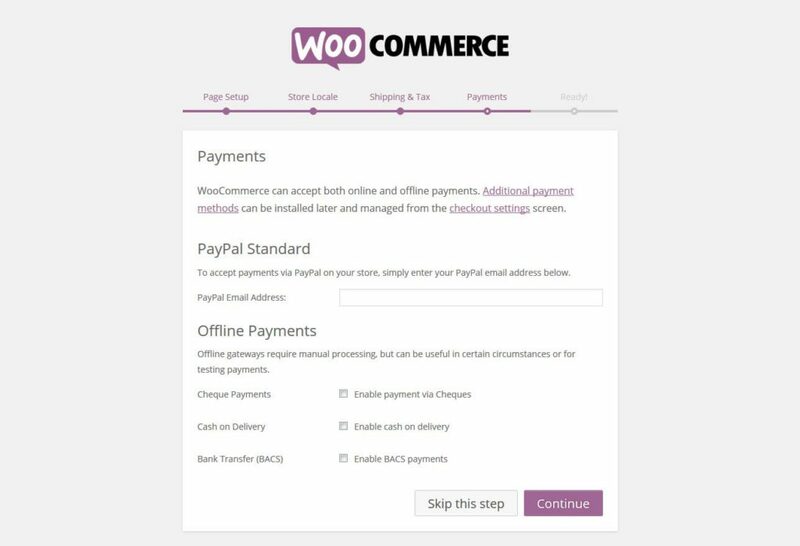 Ready to Jump on the WooCommerce Bandwagon? Although it isn’t often advertised as such, ecommerce is another strong suit of the WordPress platform and WooCommerce is clearly the star in this particular arena. The online shop plugin offers a powerful and free solution to build extensive online shops for both digital and physical products. While the basic WooCommerce is all you need to get your shop up and running, users can also rely on hundreds of paid and thousands of free extensions to further customize their shop. The overview above provides you with enough knowledge to get your own WordPress online shop up and running. All that’s left for you it is come up with a good product. Thanks to WooCommerce, the infrastructure is already in place. Have you used WooCommerce before and care to share your experience? Anything to add to the above or particular extensions you recommend? Let us know in the comments section below!